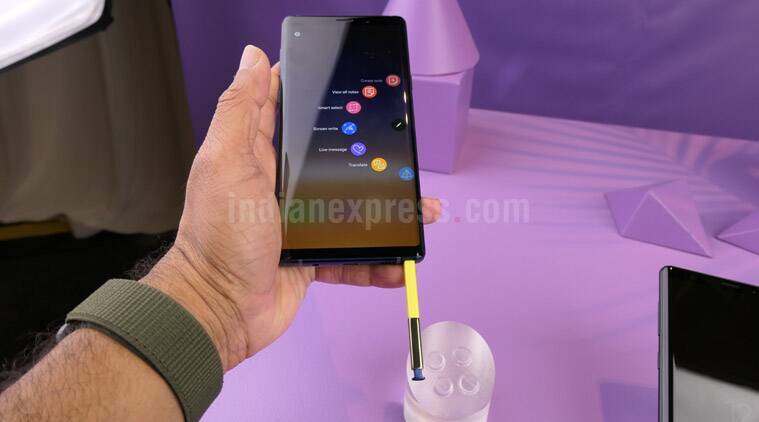 Samsung Galaxy Note 9 price in India is Rs 67,900 for the base storage model with 6GB RAM and 128GB internal space. 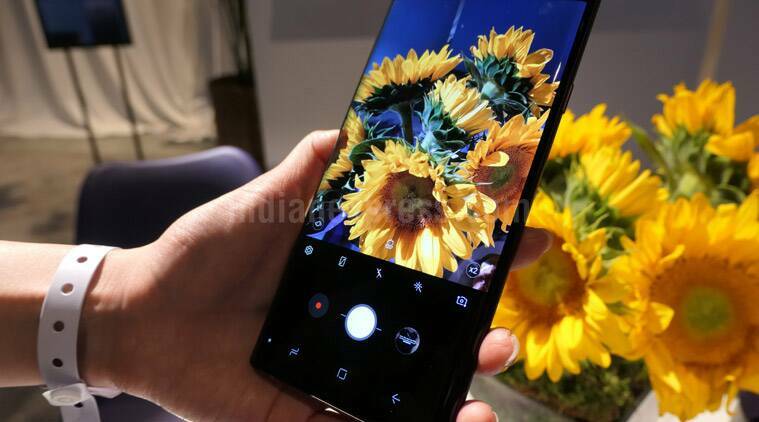 Samsung Galaxy Note 9’s price in India has been confirmed by the company. Note 9 is now listed on the India online store for a starting price of Rs 67,900 going to up Rs 84,900 for the 8GB RAM and 128GB variant. Galaxy Note 8 was launched at the company’s Unpacked event, which took place in New York on August 11. Samsung’s new Note device comes with major improvements on the camera front and S Pen now supports Bluetooth. Samsung Galaxy Home speakers and Galaxy Watch were also unveiled at the event, though neither are listed on the India website for now. Samsung Galaxy Note 9 base storage model with 6GB RAM and 128GB internal space is priced at Rs 67,900. The 8GB RAM+512GB storage model will cost Rs 84,900. It looks like Samsung is yet to bring lavender purple colour option to India as the phone is listed in midnight black, ocean blue, and metallic copper colour variants. The price for base model with 128GB storage start at $999.99 in the US, which is around Rs 68,800 on conversion. Samsung Galaxy Note 9 will come in two variants and three colour options in India. Samsung also has some pre-booking offers for the Galaxy Note 9. It will let India buyers purchase the Gear Sport watch with the Note 9 for just Rs 4,999. The watch was launched at Rs 22,900 in India. Samsung will also offer Rs 6,000 cashback on HDFC Credit Card users as well as No cost EMI. Those who have another Samsung device to exchange can get an extra Rs 6000 value when they purchase the Note 9 from Samsung’s online store. What this means is that if your older device has a value of say Rs 20,000, Samsung will give another Rs 6000 extra as well, meaning a total value of Rs 26,000 for your older phone. This only applies for some select devices, though the list is long. Galaxy Note 9 features a 6.4-inch QHD+display which is SAMOLED quality, and runs the Exynos 9810 processor in India, which is an octa-core processor. The phone has two RAM and storage variants: 6GB RAM+128GB storage and 8GB RAM and 512GB storage with support for 512GB microSD card. The rear camera is 12MP+12MP with dual aperture and it has the wide-angle and telephoto lens setup. The battery is 4000 mAh. Front camera on Note 9 is 8MP. Galaxy Note 9 comes with an improved S Pen, which has Bluetooth support and can function on its own as a remote. The S Pen can be used to control content on the Note 9, used as a clicker during presentations, and as a remove to access the camera.